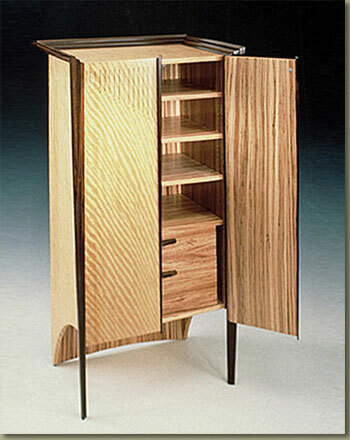 Zebra wood, macassar ebony, purpleheart, ebony and mother of pearl details. 64" tall. One of fourteen pieces for a private residence.